A perfect gift for those crafters that have everything. 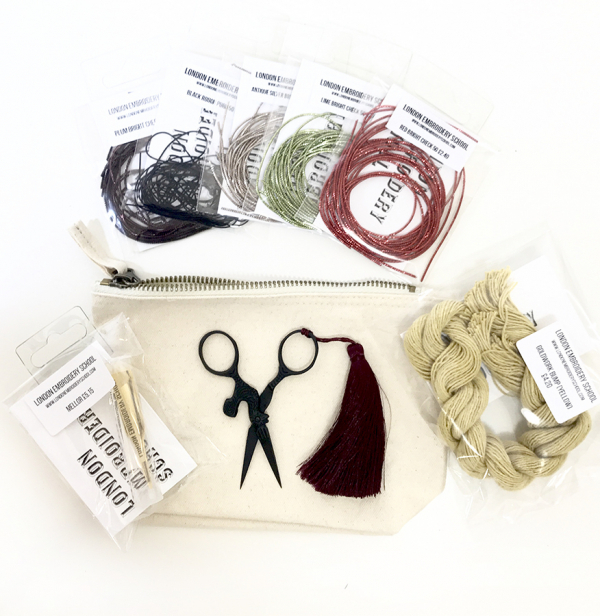 This kit comes in a personal monogrammed pouch and includes luxury essentials for embroiderers for all those Christmas gold work projects. 5 packs of gold bullion in gorgeous Xmas shades. Further info on the included products are below. 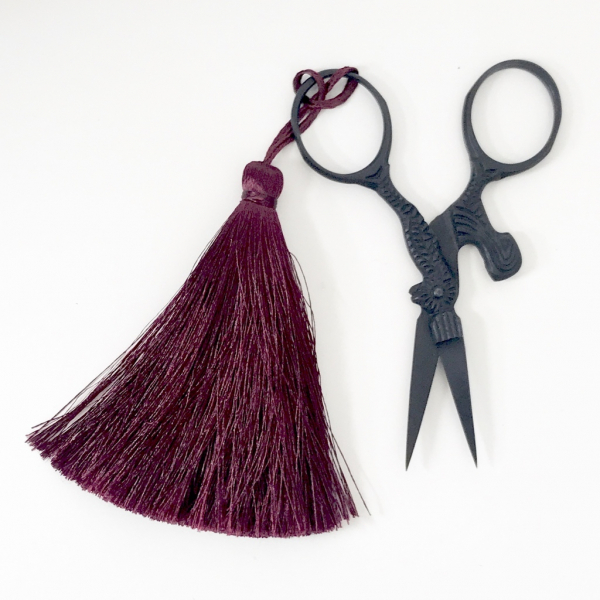 Our hen design embroidery snips with their silky tassel are a wonderful addition to the anyones tool box. 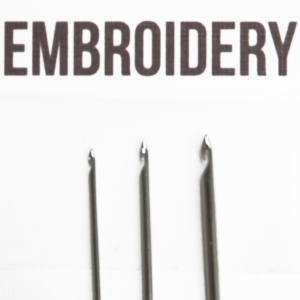 For the embroiderer that has everything these are also the perfect gift adding a little bit of luxury to a luxury craft project. Why not surround yourself with beautiful things whilst you have your down time or work on your bespoke projects. 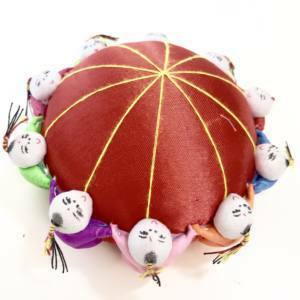 Or treat your favourite crafter to something they definitely don’t already have. 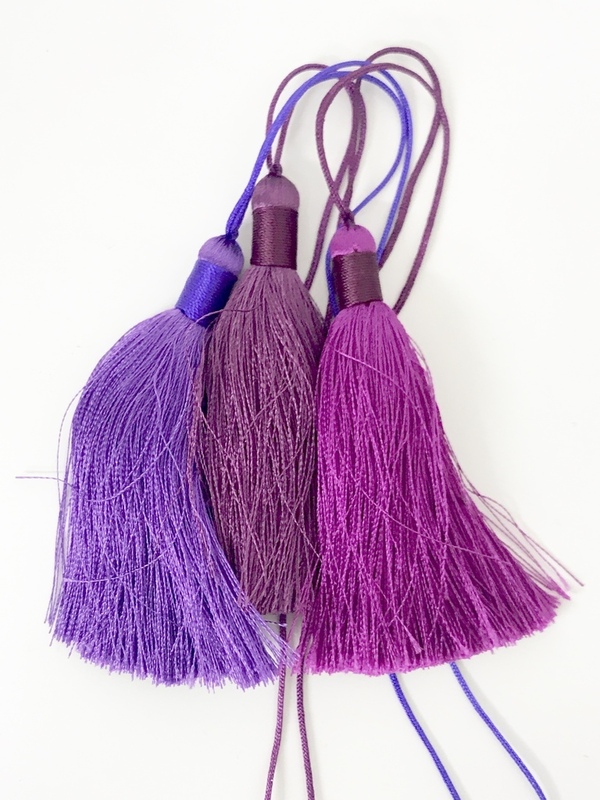 They have a wonderful vintage feel with a sassy tassel that comes in a range of colours (please ask at checkout if you have a speck selection!). 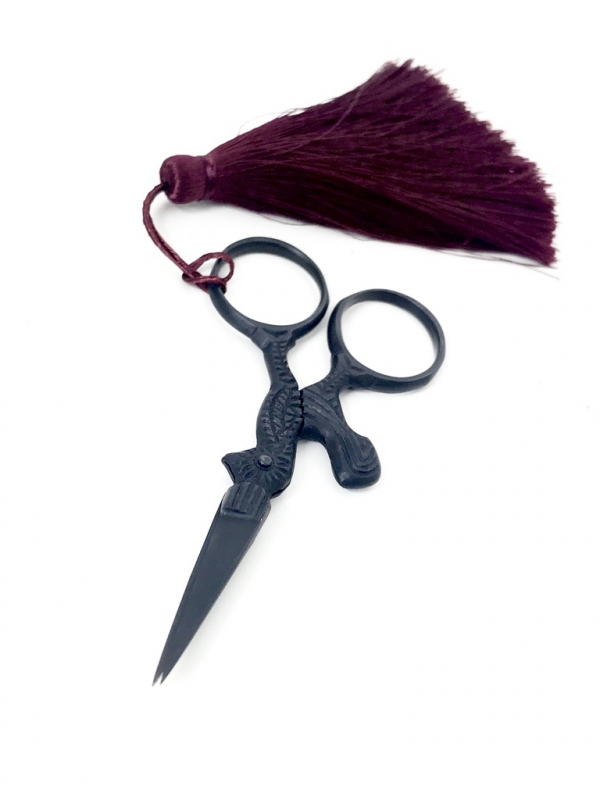 These scissors are super sharp and have high grade steel blades, ideal for gold work or any other embroidery project. The fine super sharp point is excellent for the smallest works and the handles ergonomic for longer projects. The Bullion, in check and rough included in this pack is a great addition to those Xmas projects and perfect of any gold work stitch. 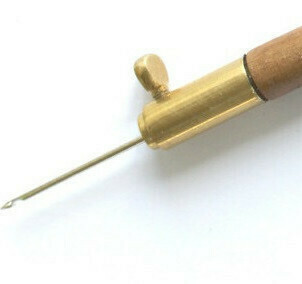 The gold work Mellor. 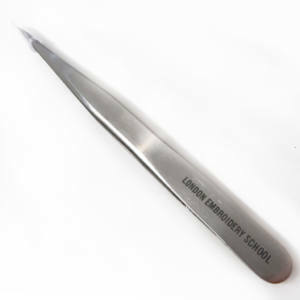 A traditional laying tool, you can use the pointed end and curved end to adjust a variety of curves. Can also be used with silks and floss when not working on goldwork. The bump or soft string padding used for give height to goldwork pieces. a total of 60m in individual strands, loosely twisted together in mustard yellow colour. 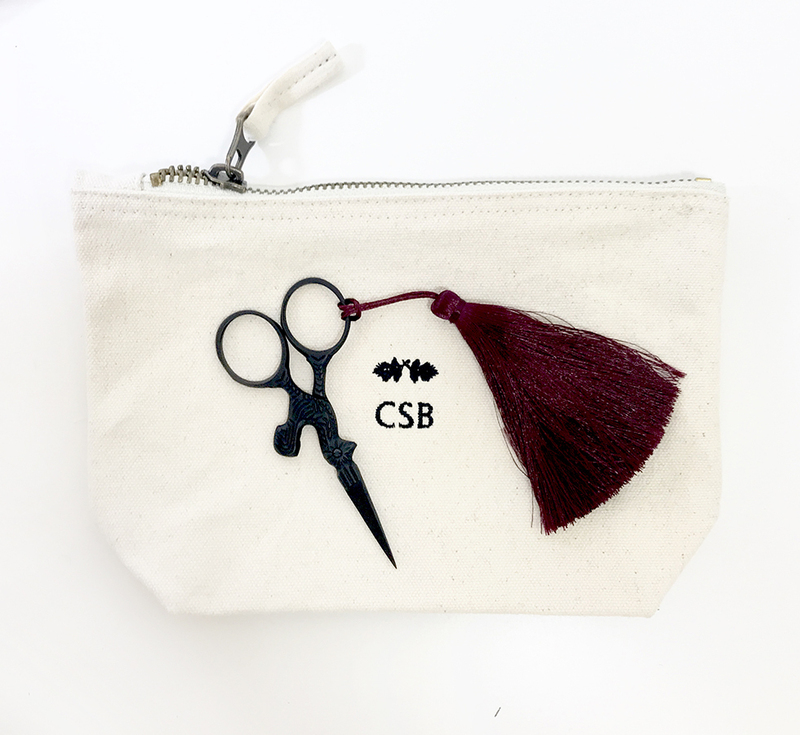 The monogrammed pouch is a gorgeous personal touch. If you are giving as a gift this will make it extra thoughtful. 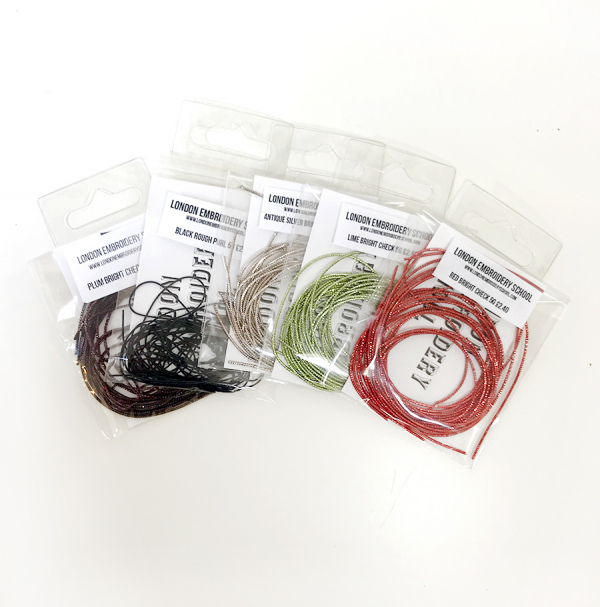 If the kit is for yourself it is that extra level of luxury and an idea pouch for keeping your gold work projects together. Send us the initials you would like as a note at checkout !! 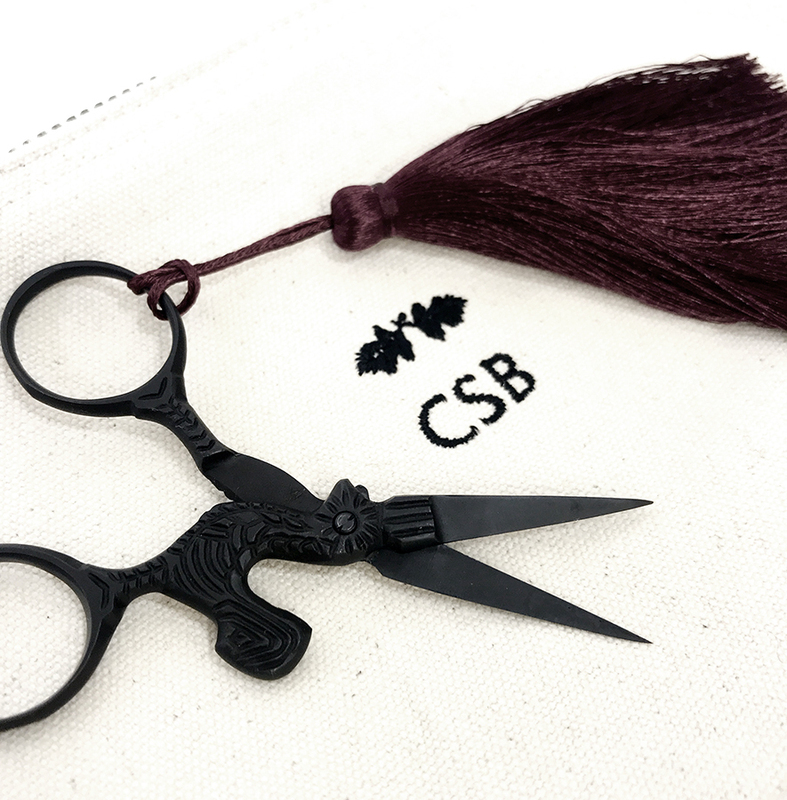 The order will be dispatch within 3 working day after confirmation on the initials.